JIO a revolution in the networking and communication is now about to launch JIO DTH TV Set-top box (the coming sensation from JIO) which is even suitable to 4K Ultra HD TV’s, this is going to be released with a JIO fiber of 1 GB connectivity, by releasing the statement of JIO Set-top box they created a hike in millions of users. So, in the below article i am going to give a detailed information of JIO TV DTH Set-top box features and setup. The JIO DTH Set-top box is available in royal black color, the front view of the JIO set-top box is. 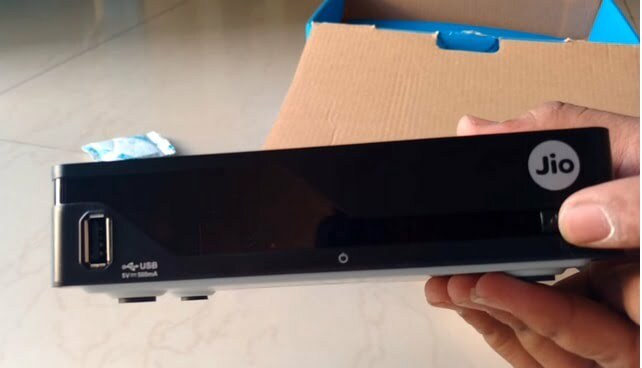 The front side of JIO DTH set-top box has a USB port and the LED light view(to make an user to know whether JIO DTH set-top box is ON/OFF), the look of JIO DTH Setup box is good in view and size of the box is also small so it occupies a small space. It consists of one more USB portal on the rear side ( this USB portals are used when an user wants to stream a video after some time so, he can store it in pen-drive), as usual to connect to TV three cable ports – 2 L-AUDIO ports (white and red), a CVBS port(yellow), it also has a single HDMI port and RJ45 port, this RJ45 port is used to connect to JIO fiber of 1GBps, by this an user can watch online JIO TV, NETFLIX, etc. There is a power pin port where the given power input cable is to be connected. online surfing of videos through JIO TV, NETFLIX, etc. 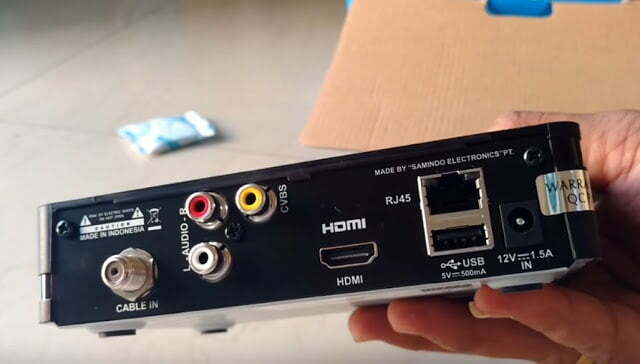 By using the HDMI cable that came with the set-top box we connect to the TV. Now turn ON both TV(Full HD TV) and Set-top box. As we can see the TV set-up automatically goes to the HDMI port to which we connected the set-top box. first take TV remote and then press input button. Now there appears many input options. After that we can see TV guide on which we can search for any channel and can directly go into the channel. We can see a schedule recording option, this is used to record a live TV and can watch later, to enable the option first we need to connect a pen-drive or a hard disk to the usb-drive portal. And there are many more options like internet, catch-up TV and many more. JIO works with network so there is no dish antenna used by JIO set-top box as others do. Even there are rains the JIO works through net whereas others can’t. the user interface of JIO is easy to work. JIO also gives the option of surfing and catch-up TV. Surfing is not provided by any set-top box. Catch-up TV is also rare. Catch-UP TV is used to watch previous shows and episodes. 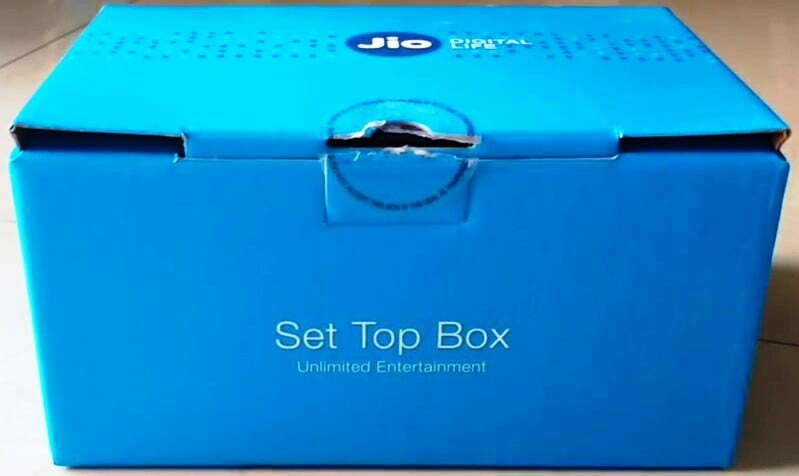 This is the cheapest HD set-top box in the range approximately Rs.5000/-, the monthly bill maybe of 120/- rupees, it is small in size and very user free interface is available, So, JIO may bring a drastic change in digitization too, the JIO Set-top box will be available in online and as well as JIO stores too.